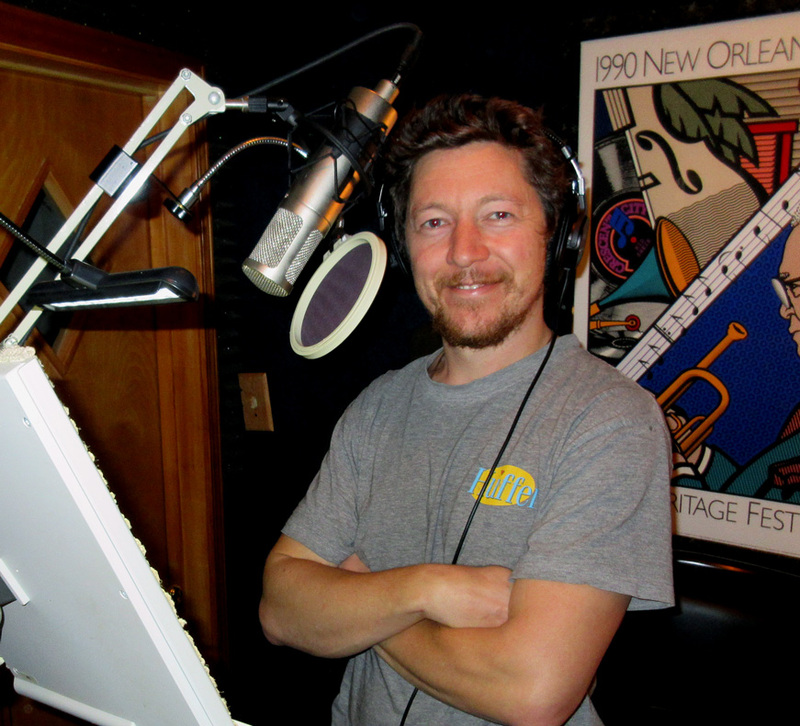 World-Class VoiceOver Talent Toby Ricketts‘ visit to the Airlift Productions Studios here in New Orleans is certainly one I won’t soon forget. Gee, and I almost didn’t take the call that started it all that Monday night after hours in March 2018. It was a Cory from Tri-Film in Seattle looking for a NOLA-based studio to help out with a project for Microsoft… and beer! As it turned out, New Zealand-based Toby Ricketts (Microsoft’s voice of choice) was visiting the USA for a relative’s wedding, and was in New Orleans for a few days, and Tri-Film needed help – STAT! 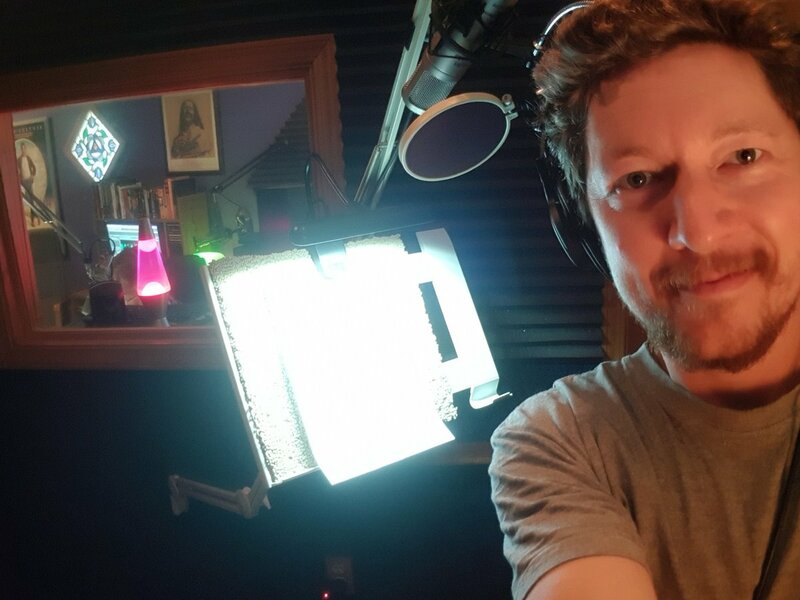 Toby showed up at the Airlift Studios the next day and, to paraphrase renowned author Jules Verne, Toby and I recorded VoiceOver tracks for points all around the globe – in 80 minutes! We then proceeded to call and phone-patch record with Shane in Dublin, Ireland for a trio of industrial reads for safety videos – to be used in plants from the UK to the Middle East… to Southeast Asia! After my consent, we then laid-down the electronic messaging voice tracks for use – at 35,000 feet – for messages to be heard overhead on flights out of Dubai on Saudia Airlines. 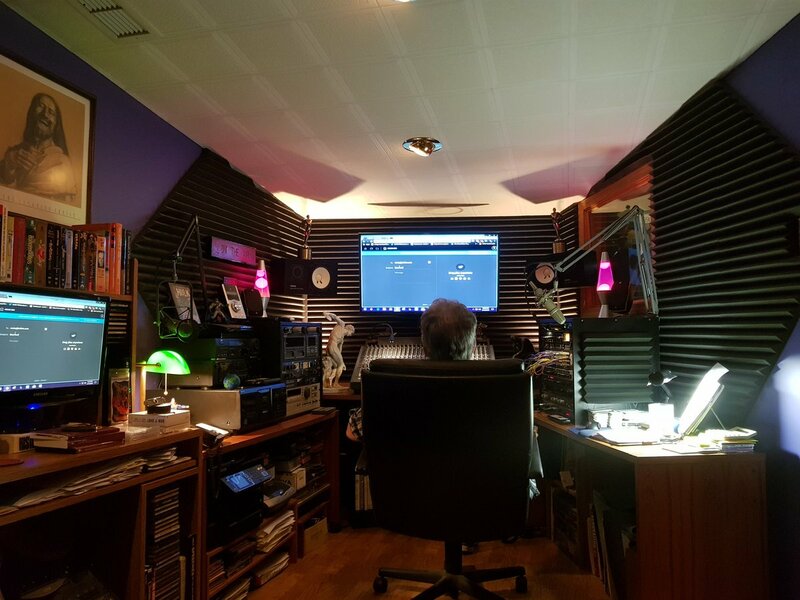 So, here I am sitting in New Orleans, but recording for guys in Seattle with a VoiceOver talent from New Zealand… who then takes me to Ireland for work to be used in the UK, the Middle East & Southeast Asia… only to finish-off the session with tracks to be used in an airline at 35,000 feet – all done, tagged & bagged in 80 minutes?!? To take a trip figuratively – and literally (as the millennial is often wont to say) – AROUND THE WORLD via the Airlift Productions trusty and razor-sharp phone-patch was exhilarating, technically challenging… and a riot! Next time we’ll make provisions for an in-flight meal, brother Toby. In the meantime, safe travels, pal – and many thanks for the ride. “I have been in the media industry in the New Orleans area for over 36 years, working in radio, television, and print. During this time, I have had the pleasure of working with many talented individuals. From a production perspective, I have encountered many talents. Beyond any doubt, the most talented person I have done business with is Michael Ziants. Mike is the quintessential professional–serious about his craft and determined to produce the best work possible for each of his clients. His voice work is superb, his music library is impressive, his studio is outstanding, the final product is always appreciated. 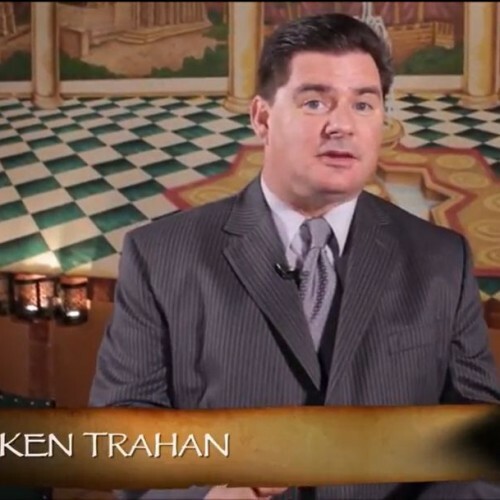 —KEN TRAHAN – Owner/CEO CrescentCitySports.com & General Manager/Chairman of the Board of the New Orleans Saints Hall of Fame Museum, Inc. Previous PostWhat Do You Do When You’re #@&% Tired Of Being Fired?! ?Next Post“How I Spent My Summer Vacation” ~ at Essence Fest 2018!